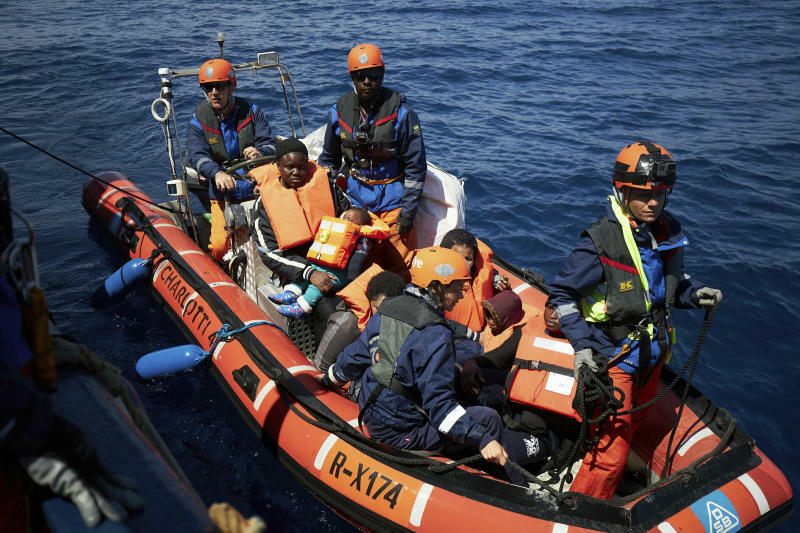 ROME (AP) — A humanitarian aid ship with 64 rescued migrants aboard was stuck at sea Thursday as Italy and Malta refused it safe harbor, leaving migrants sleeping in cramped conditions on deck as a storm approached. The governments' refusal sets the stage for another Mediterranean standoff that can only be resolved if European governments agree to accept the asylum-seekers. "We have no idea yet where we can disembark, Weibl told The Associated Press. "Malta says we can't enter their waters and we are unlikely to get permission from Italy." 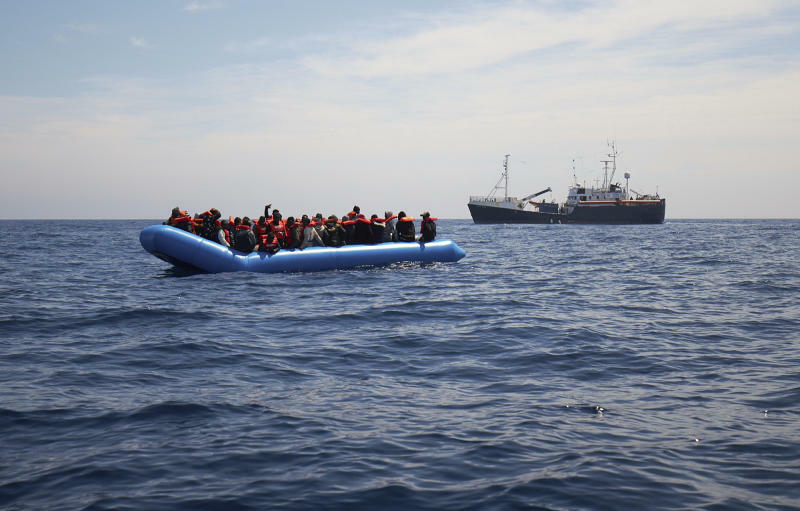 Sea-Eye's ship, the Alan Kurdi, rescued the migrants on Wednesday near Libya after Libyan authorities could not be reached. It did so as it was looking for another boat with 50 migrants missing since Monday and 40 migrants missing since last week. "The chances are low that they are alive," Weibl said. Italian Interior Minister Matteo Salvini said Wednesday that Italy would not accept the migrants and that the German ship should "go to Hamburg." But Weibl, said "it's a journey of three to four weeks. We don't have food and water, so it's completely out of the question."